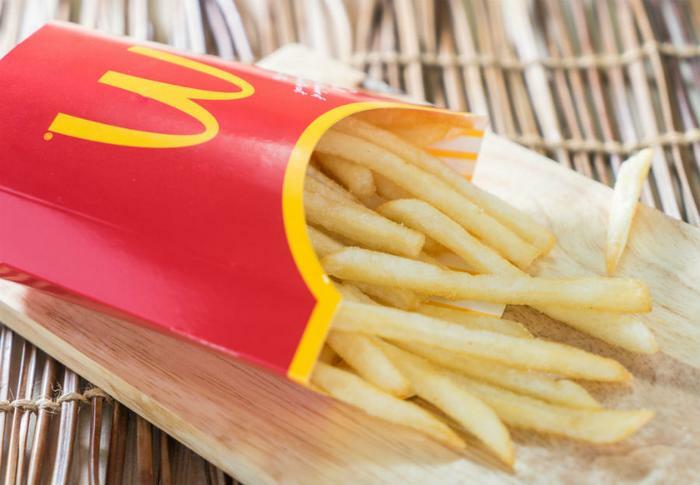 Scientists in Japan say a chemical used to make McDonald's french fries might be effective at reversing baldness. The researchers tried using the chemical, called dimethylpolysiloxane, in experiments on mice and found that it helped regrow hair. They say they are hopeful that it will also work on humans. Hair loss affects tens of millions of people around the world, and not just men. It most often occurs with aging, but some men begin losing their hair at an early age. In recent years clinicians have developed therapies to regenerate hair follicles, which are necessary for the growth and maintenance of hair. One difficulty is preparing hair follicle germs on a large scale. Writing in the journal Biomaterials, researchers at Yokohama National University report they have successfully prepared up to 5,000 hair follicle germs (HFGs) simultaneously. They say they were able to grow new hair after transplanting them into mice. "The key for the mass production of HFGs was a choice of substrate materials for culture vessel," said corresponding author Junji Fukuda, a professor at Yokohama National University. "We used oxygen-permeable dimethylpolysiloxane (PDMS) at the bottom of the culture vessel, and it worked very well." Admittedly, dimethylpolysiloxane is not exactly a household name. It was the British newspaper Evening Standard that made the connection to McDonald's fries. The newspaper notes that dimethylpolysiloxane is found in silicone and that silicone is usually added to the oil McDonald's uses to make its fries golden brown without the oil bubbling over. However, it should be noted there is nothing in the research to suggest that eating french fries will help you retain a full head of hair. The chemical must be directly applied to the follicle in a specific therapy. Still, Fukuda is hopeful that his research team has found an answer that has eluded the bald population for centuries. He calls the method simple but promising and is eager to begin human trials.